In Chinese history, we have so many sentences to make the people know the importance of food, such as “Food is the sky of the people.” But, not all the people think cooking is an easy thing. Now, I can make so many dishes. The top one of them is cumin-fried beef. Cumin is one of the famous seasonings in China especially the northern part. It is also the traditional seasoning in India. Cumin-fried beef is not difficult to make that it just has three important steps, which are choosing, pickling and cooking. The first important step is how to choose beef. For example, in the experiences, the meat with half fat and half lean is better than the lean meat by itself. It not only looks nice but also tastes good. As usual, one pound is enough for two or three people. Next, the second step is pickling the beef. Most of the people who have cooked beef before know that beef can turn hard easily. For this reason, using egg white is necessary to make the beef soft. After cutting the beef, should be mixed it with the white for more than 15 minutes. If a cook prefers, he or she can mix a little bit of pepper and sugar into it too. Thus, adding the white is the key point to pickle beef. Finally, the third step is frying. When the oil almost smokes, people can put the fragments of green onion and ginger into the pan. Then, people should take the beef and cumin in the pan. As usual, people need to put cumin in the pan at least twice. The second time is when you want to take out the beef. After about 20 minutes, the fried step will be done. Overall, the procedure is super easy to learn and command. In short, it is just three steps. This dish is traditional Chinese food. This cumin-fried beef is delicious and easy to make. Srinivasan, S. (2009, April 22). Chinese Hackers Infiltrate U.S. Air Force Striker Jet Program. THEEPOCHTIMES.com. Retrieved April 23, 2009, from http://www.theepochtimes.com/n2/content/view/15770/. 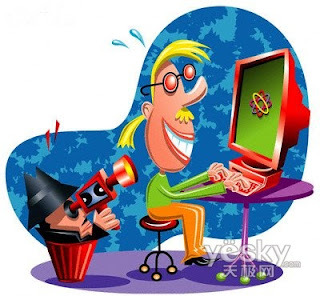 Suman Srinivasan’s article entitled “Chinese Hackers Infiltrate U.S. Air Force Striker Jet Program” discusses as a result of the invasion of hackers, to prevent further confusion senior U.S. government decided to develop a network security system to protect the government and the private network security. The Wall Street Journal points out that China is suspected of hacking into computer systems of the United States. These included the Joint Strike Fighter program, whose partners were Israel and a few other European countries and F-35 Lightning II fighter jet plan. The hackers infiltrated the data which related to design and electronics systems to copy and steal. The Obama administration has done something to change the situation, such as expand the $17 billion program for cyber-security. However, they also worried about the security of the network system. My major is computer science. But it is not my choice. In china, every student who graduate from senior high school has to join in the college entrance examination. After that exam( we didn't know our score), we have to estimation our score with the moder answer. And then, follow the score to choose school(s). My teacher said I can get to the second level school. So we just focus on the second level schools part. Actually, I want to be a lawyer as my mother. We just filled in other parts slipshod. However, when I know I have a low score, I feel bad. Whatever, I got the offer, too. But the major was not law. It was computer science. My father said it has a good future, so I went to there to study that. If I have a opportunity, I will change my major to law. To be a lawyer is my dream since I was 10. Ps. The picture is the college entrance examination Listing. In China, we have so many different kinds of food, including some strangest food. When I was 18 years old, my family have a meeting to celebrate my uncle's birthday. We went to a famous restaurant named Chinese City. We have ordered lots of dishes. The most impressed is "drunken shrimp". As the name suggests, it is use the shrimp which is drunk. They are living! 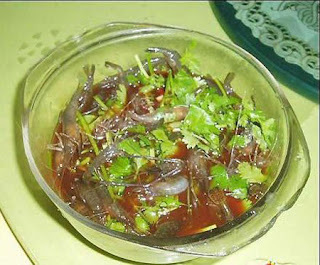 When my uncle take one, it was jump~:( Then he cut the head and used the mustard and soy sauce together. It is nausea, right? They are crazy~! I much prefer ripe shrimp than the drunken shrimp. But I have to admit, the drunken shrimp is delicious than the ripe one. Anna, have you ever try that? Durrett, D. (2009, April 9). Computer science enrollment increases. THE ITHACAN.org. Retrieved April 10, 2009, from http://theithacan.org/am/publish/news/200904_Computer_science_enrollment_increases.shtml. In David Durrett’s article entitled “Computer science enrollment increases” computer science enrollment increases, even though technology occupations are decreasing recently. According to the article, there are some professors who give their ideas about the situation of computer science. The economy was not an issue in enrollment. It’s affected by national cycles as engineering is. The students are in demand after the industry recovers again. Don’t worry about the job market. Being interested in computer science is a good way for choosing the major. We need to create a new major that is related to computer science. In conclusion, the reason computer science enrollment increases is that computer is so useful. Everyone has to know the computer skills that are used in life. At first, I didn’t know why the computer science enrollment could increase when the economy is not good. But, after reading this article, I realize that computer is necessary for our modern life. So the computer skills are more important than before. They are not just the business of the students whose major is computer science. Everyone in the world must have the knowledge of computer. Choosing computer science was not my idea, when I was in senior high school. In China, there is a very important test at the end of the last semester. After that test, we must to choose the university and major that we want. But at that time, more of us knew our scores. Thus it was very difficult to choose. I focused on law at that time. Unfortunately, the result was that my scores were so low. 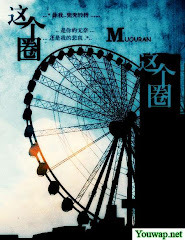 It means I could not go to study law that I wanted to study. Then, I was enrolled in the Liaoning University of Technology. And my major is computer science. Actually, I don’t like it, but my mother said computer is a developable major. So, I went to learn it. I always worry about the future of this major, especially in an economic crisis. However, I have trust in the future. 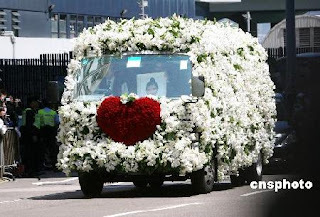 In China, when somebody left us, we will have some rites to commenmorated him or her. First, change the clothes. The family members need to give the person the new clothes which he likes or about his career. Such as military uniform. If he is a brass hat ,the leader of China or someone who is very important to China, there is not only the military uniform, but also a Communist Party Flag coverd with him. That's kind of honor. Then, cover all the mirrors at home. After that, funeral. 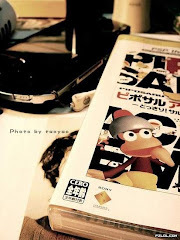 Commonly, it alway at the third day. In the funeral, it has so many rules. For instanse, (1) the family members must to worship him every 7 days until the 49th day, (2) touch off the firecracker when the people inter the coffin, (3) when the family entertain the people who join in the funeral, every table just can sit 9 people, and so on. So complex~! When I died, I hope my friends can remember me. My parents can take pride in they have a good child as me. I hope to write some sentence in my gracestone. Like" When she was young, she was so cute, kind, humour, and goodness. Her smile is so lovely. She can make everything be better. If you are happy, tell her. She will be happy with you, so, you two guys has double delights. If you are sad, tell her. She will cry with you, so, everyone of you just has a half sadness. ""Le is the decotion of my whole life. ""I have a nice mother. She give me her full love. I'm honoured that I am her child." I don't know whether I can meet my the one. When? How? I feel like to meet him soon. 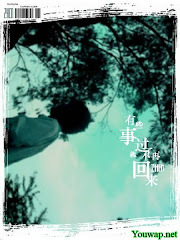 But I don't care that now, because I have so many friends in my life, including in China of in U.S.A. Thanks for give me the kind friends. I will cherish it. How to face the violence in life? I think all the three approaches,violence, availability of guns, and the fact that parents are busier are the reasons for the violence. In my opinion, we can do something in the three ways. First of all, the violence in the life. Parents must control the time of children who play violent video games, watch the violent programs, and so on. The game makers can take some marks eberywhere in the game. Let children distinguish the real world and the fabricated world.Parents have to let them know what kind of things they can not to do. Then ,the government must use its power to control the dealing of guns. They can make rules to make the children unable to get the gun easily. Thus, parents should spend more time on their children. They can give them the right way in life. And this behavior will give the children a feeling that their parents love them so much. So they will not be violent. In short, children can go far away from the violent behavior if the three ways cooperate together. Thomson, Iain. (2009, March 1). Recession sees rise in computer science students. Vnunet.com. Retrieved March 23, 2009, from http://www.vnunet.com/vnunet/news/2238681/recession-sees-rise-computerter. Iain Thomson’s article entitled “Recession sees rise in computer science students” discusses the fact that the number of computer science students began to go up since 2003. 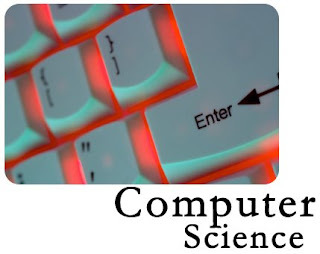 At first the finding said that more and more students decided to study computer science, including undergraduate students and PhD students. And the situation is unexpected. Even thought they can’t find the high salary jobs as before. However, just 10% of technology graduates are women. Thus, the U.S. Department of Labor expected the upward surge would happen next year. Some of them may grow more than one time. In my opinion, the recession will not affect the IT jobs. Computer, which is used everywhere in life, is the most necessary to the modern world. However, the recession is bad for marketing, economy, or finding a job. Before, people chose the major of computer science almost because of the high salary and good future. I don’t know why they also want to choose this major during the recession. From this article, I find the answer that they feel the intellectual depth and societal benefits of computing technology. I hope my future will go very well. My field is to be a programmer. I want to find more good software to make people’s life better than before. I believe I will. My national flag is" five-star red flag". As its name suggests, it is a red flag with 5 yellow stars. Red means revolution, 5 yellow stars and their relationship express population unite together with Communist Party of China. They use yellow instead of white because yellow is more obvious on the red flag. The 5 stars are not the same size. 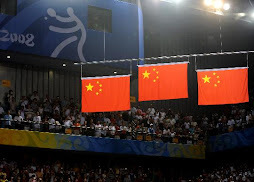 One of them is bigger, it means Communist Party of China, other 4 stars means the national of China, including: the working class, the peasantry, the petty bourgeoisie, and the national bourgeoisie. And every star has a angle point at the focus of the big one. That's interesting. 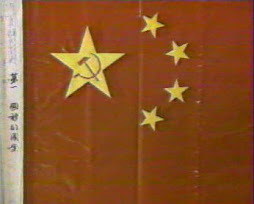 In 1949 the first time of the "five-star red flag" appeared, there is a sickle and a hammer in the bigger star. It stand for the working class and the peasantry. But they decided that no sickle and hammer in the bigger star, because it is similar as the flag of Russia. And then, the National People's Congress laid down so many law to protect the flag. For example: we must change the flag on Tiananmen Square everyday, we can not use the flag which is broken or dirty, and so on. Everyone has problem when they live in the world. Some of them can solve, but some can not. In my country, both of the adults and children have stress. The differences are: the adults have the stress about employment, emotion, economy, relationship and what kind of education they can give to their child. But the children’s stresses are not so many. They only need to worry about what kind of assignment they have to do which is from their parents. They must do so many things when they were young, even though they didn’t know whether they like it. For example, my little brother Tantan is 16 years old. He is the only child of my aunty. So she wants to give him the best future. She must to have a plan about that. When he was 4 years old, my aunty sent him to study English in all weathers. When he was 5 or 6 years old, he began to study drawing and playing accordion [əˈkɔ:djən]. At the age of 7, he must to go to primary [ˈpraiməri] school and at the same time, he didn’t give up to study English. During those years, I always see that he was so busy. Weekdays, after school he must to go to English class. At the weekend, school has no classes, he had to go to children's palace [ˈpælis] which place teach children all kinds of skills. In all word, he is busier than an adult. At that age, they didn’t have to under pressure like that. Childhood is the most important time for the child, don’t give them so many assignment to do. It can not help them like studying, they may be tired of study. They need happy, carefree and normal life. Let them playing, give them free time to do what they want to do. That’s the great way for them. Stress is not suitable for the children.